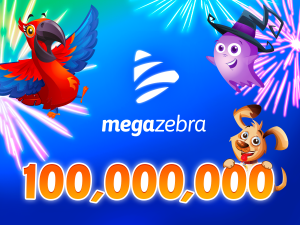 We reached an extremely awesome milestone and we want to thank YOU, all you wonderful 100,000,000 players! THANK YOU for playing our games and giving us a reason to once again celebrate a pretty huge number… this time with 9 digits! Now on to the tenth one… And remember, we are doing this all just for you!